The Predator is a 2018 American science fiction action film directed by Shane Black and written by Black and Fred Dekker. It is the fourth installment in the Predator film series (the sixth counting the two Alien vs. Predator films), following Predator (1987), Predator 2 (1990) and Predators (2010). Black had a supporting role in the original film, while John Davis returns as producer from the first three installments. The film stars Boyd Holbrook, Trevante Rhodes, Jacob Tremblay, Keegan-Michael Key, Olivia Munn, Thomas Jane, Alfie Allen, and Sterling K. Brown, and follows a group of mercenaries who try to protect a small town from an invading group of Predators. 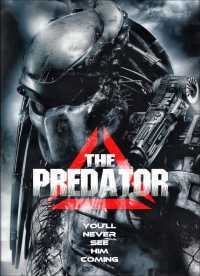 Talks of a new Predator installment began in June 2014, with Black being confirmed as writer and director; much of the cast signed on between October 2016 and January 2017. Filming took place in British Columbia from February to June 2017, with the entire climax being reshot in July 2018 following poor test screenings.